Crochet tops, especially cropped ones, are in right now. I love myself a good crop top and I know how to crochet, so I've decided to embrace the trend. For this top I used the left over yarn from my Crochet Scalloped Top. It's Knit Picks Comfy worsted weight yarn in Rosehip. I knew I had to crochet a second top out of this yarn because I bought a coral bandeau to match my Scalloped Top and it seemed like it would be a more sound investment if I had two articles of clothing to wear with it. 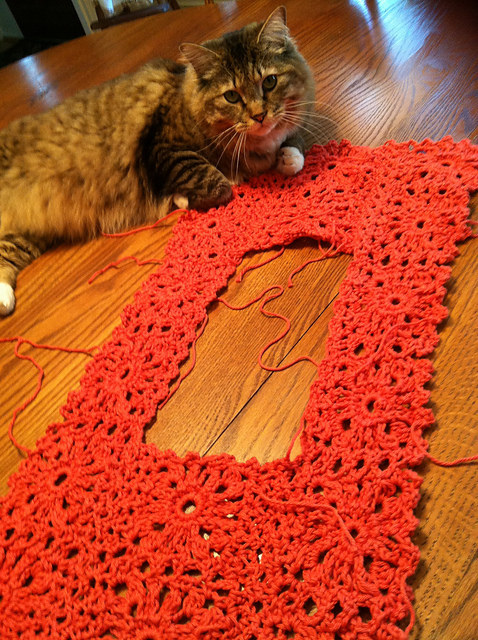 The construction details and whatnot are on my Ravelry Project Page. I am the worst blogger ever. 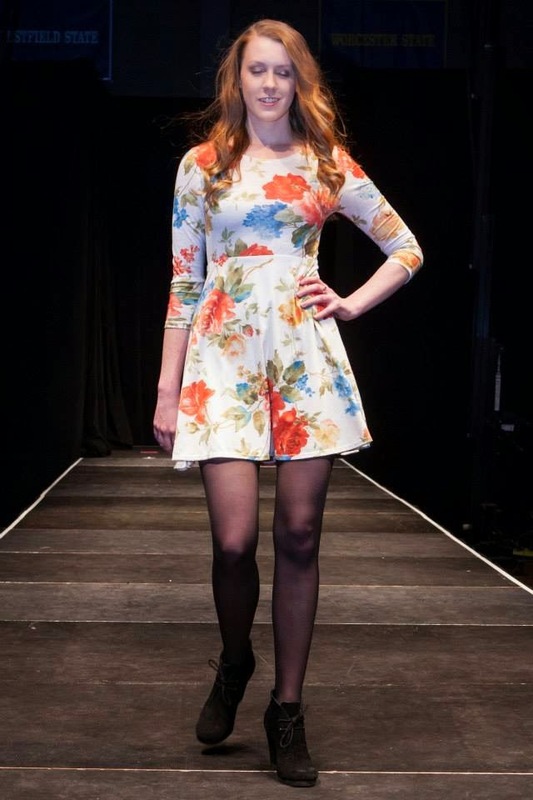 I finished this romper in April for the student fashion show at school (which I also neglected to post about), didn't take photos until mid-July, and didn't write the blog post until August. 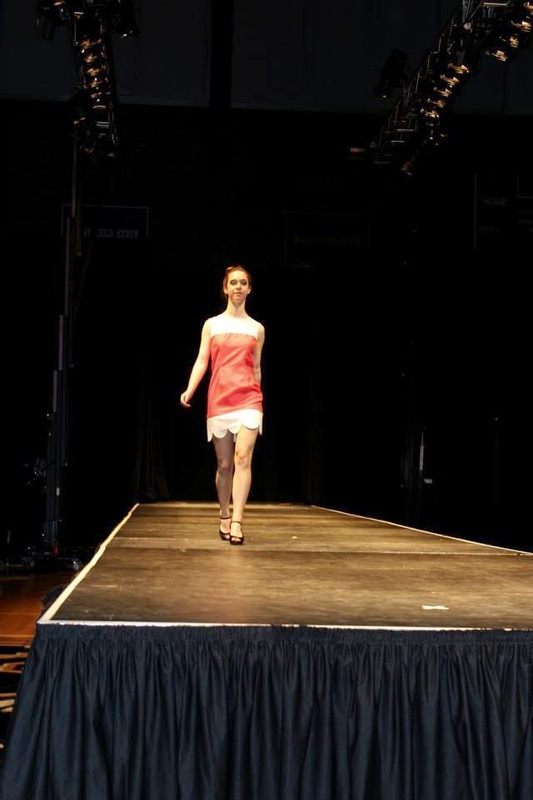 The photos of my garments from the fashion show at the bottom of this post. This is a self-drafted pattern. 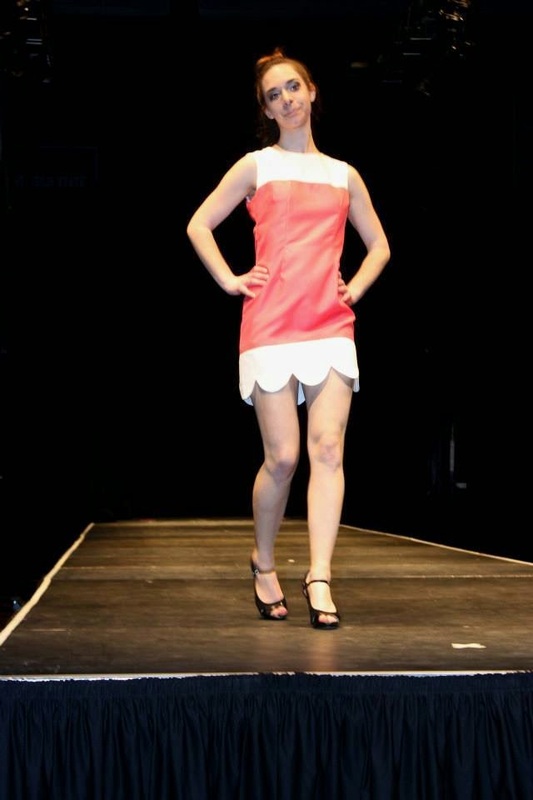 I drafted the pattern and sewed this up in like 4 days in order to have it done by the fashion show. That's wicked fast for me because I am literally the slowest sewer on the planet. My mother says I could never be on Project Runway. 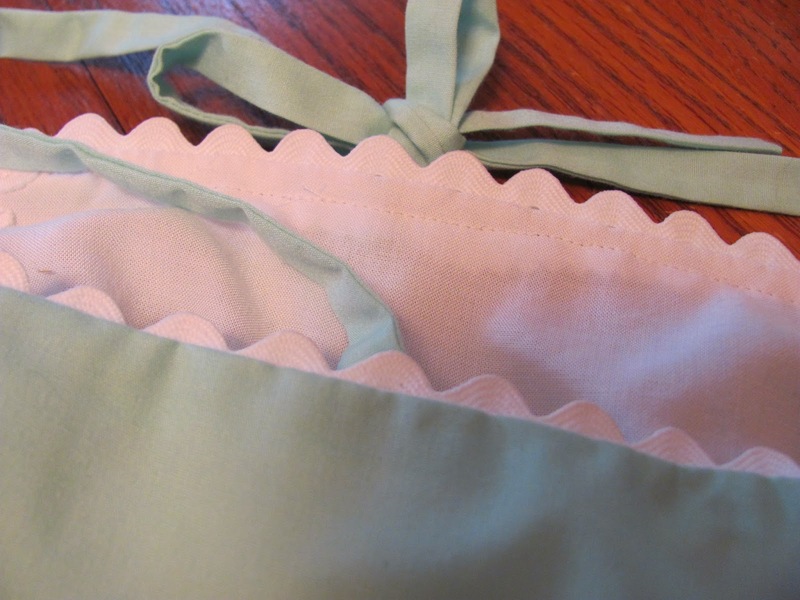 The fabric is a mint Symphony Broadcloth, a polyester/cotton blend quilting fabric from Jo-Ann Fabrics. The polyester prevents the fabric from wrinkling the way that most quilting cottons do, which is why I chose it. The lining is a rayon challis I ordered online from Hancock Fabrics (the same fabric I used to line my Colorblocked Shift Dress) and there's an invisible zipper in the side seam. This romper looks a little tight around the bust, but I didn't notice it until I looked at this pictures. It also looks a like it's pulling a bit at the seam lines, but it looks better in real life. I feel like I say that in every blog post, but it's true. To draft the bodice I took measurements of one of my RTW rompers as a basic starting point and made changes to the fit and style lines from there. I also used McCall's #6439 as a reference, which is the pattern I used for my Turquoise Striped Dress. The fit was way off so the pattern wasn't really all that helpful, but I liked having a commercial pattern to look at to make sure my pattern wasn't doing something crazy. I used the pattern from my self-drafted Black High-Waisted Shorts as a block for the romper shorts. Since the black shorts were made from a stretch denim and the fabric I used for this romper doesn't have any stretch, I added 1/2" to the side seam and inseam. I dropped the crotch 1/2" as directed in my patternmaking book. I raised the waistline 1 1/2" to compensate for the waistband. The waistband on this romper is attached at the side seam with the zipper. I used the same method to attach the rick rack to the waistband and hem as I used for my Turquoise Polka Dot Top. I used WashAway Wonder Tape to hold the rick rack in place and then I topstitched it on. 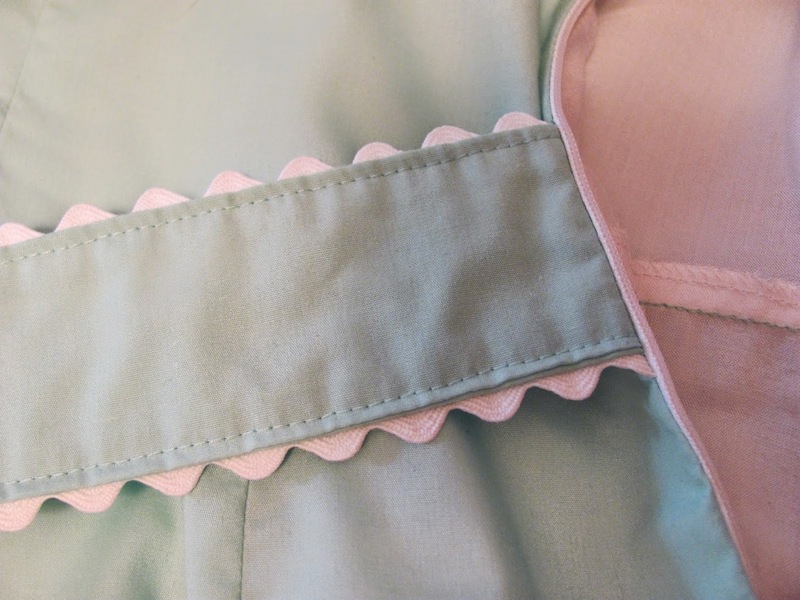 I sandwiched the rick rack across the top of the bodice between the mint fabric and lining. 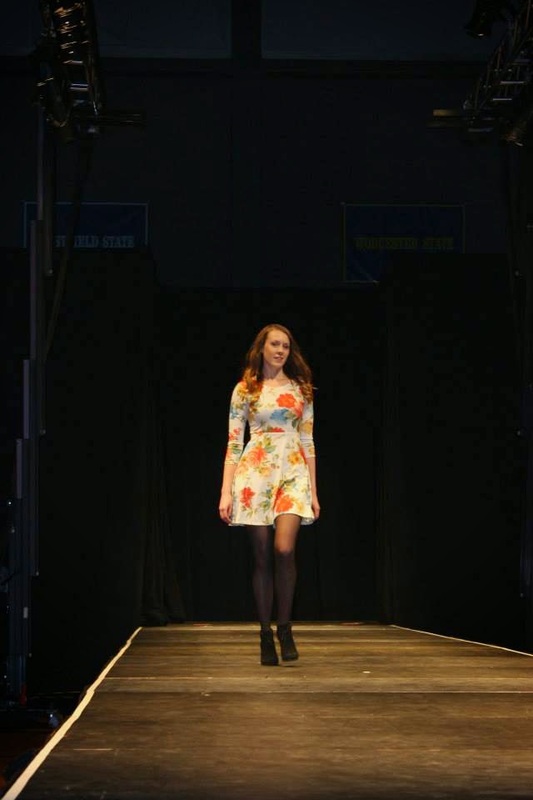 And here is a photo of me wearing the romper in the fashion show. I had to model this myself - which was terrifying - and I am not a very good model. And here is a sneak peek of my Blue Wrap Competition dress, which I haven't blogged about yet. I made it for a Project Runway type unconventional materials competition at school. We had to make a garment out of the surgical blue wrap they use in hospitals. 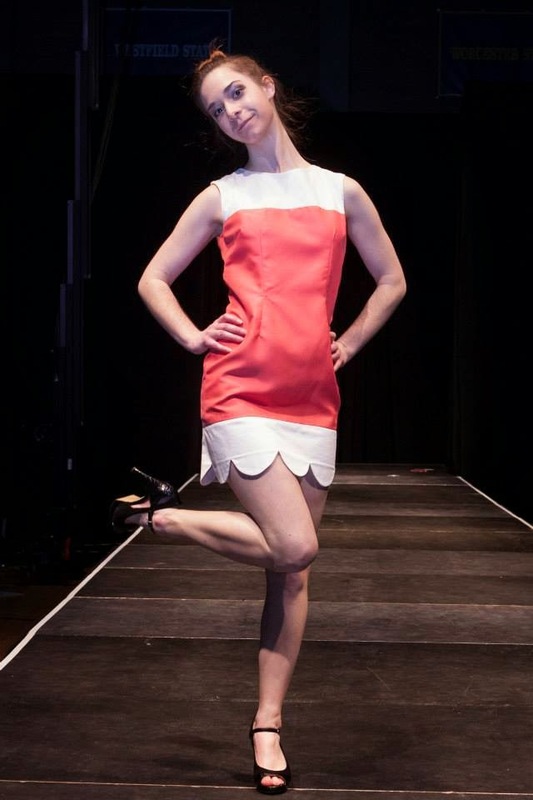 My dress won most wearable, which was very exciting. But then I had to model it in the show, which was the worst.